Coalinga California long depended on the local prison to bring jobs to the town. When it was abandoned, the town lost most of its revenue. 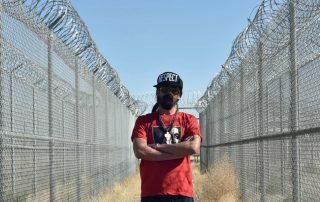 Damian Marley plans to bring the jobs back by turning the prison into a marijuana manufacturing plant. As November draws closer, Prop 64 is getting a lot more attention. 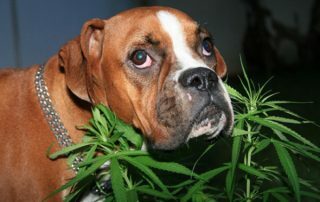 One of the issues recently raised is the danger of marijuana edibles being ingested by a pet, leading to extreme sickness or death. Brad Pitt and Angelina Jolie have filed for divorce, ending a 10-year relationship. They haven’t given any official reason for the separation, but some news outlets have reported that Pitts use of marijuana has played a large role in the decision. 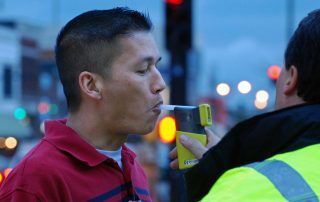 Because there haven’t been any roadside tests that has been able to legitimately measure the amount of THC in someone’s bloodstream, the fact that Oakland-based Hound Labs has just released one is a game changer. In the Emerald Triangle, a lot of money can be made as a seasonal trimmer on marijuana farms during the late summer harvest. But for young women, the risks are high, and sexual abuse is common. Longtime marijuana advocate Melissa Etheridge makes a cameo on Viceland’s "Ancient Aliens With Action Bronson and Friends" and is introduced to dabbing marijuana for the first time. 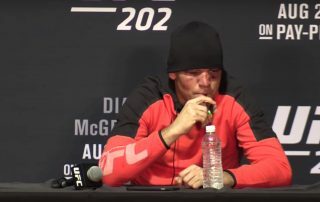 The UFC fighter Nate Diaz recently decided to take puffs from a Vape pen filled with CBD oil during a post-fight press conference. The USADA is deciding whether to pursue a warning or suspension. In the 1980s, there were a series of ‘your brain on drugs’ commercials. These current videos are a better example of why people may not want to try drugs. Most individuals who choose to cultivate marijuana are also aware of the best way to dispose of it. Someone in Oregon decided to use the fast way and dumped a heap in a porta potty.